Summer 2018 is all about comfort…jeans that don’t stifle, light-colored tops in ethereal fabrics, and platform espadrilles that cushion your pads and add height. The flourishing final touches are a pair of statement sunnies, a round straw purse that you can either carry (so cute) or sling across your body for hands-free strolling, tassel earrings in a happy yellow hue, and a zing of vibrant pink lipstick. White Linen Top. $39.90. http://www.zara.com. Nautical Wide Leg Jeans. $87. ww.warehouse.long.com. 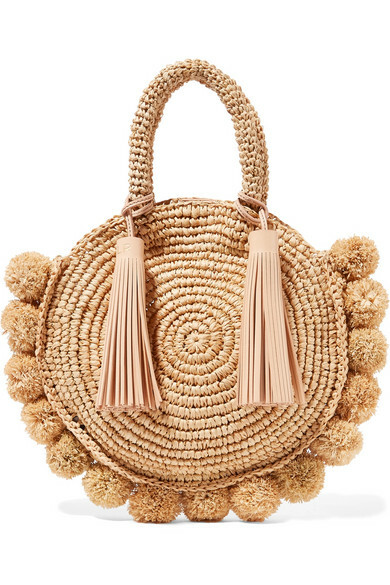 Loeffler Randall Circle Pompom-Embellished, Leather-Trim Purse. $295. http://www.net-a-porter.com. 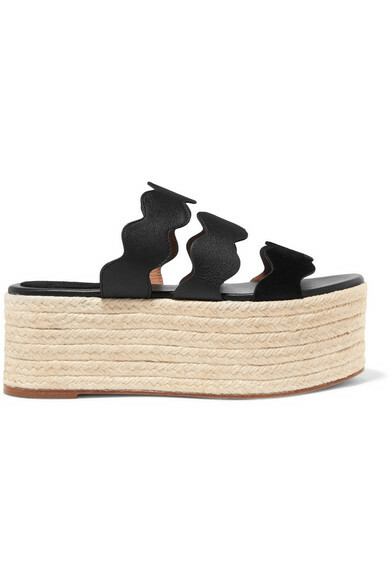 Chloe Espadrille Slide Sandals. Available in Black or White. $575. http://www.net-a-porter.com. Urban Decay Matte Lipstick in Psycho. $18. http://www.sephora.com. SpektreMet-Ro 2 Flat Round-Frame Acetate And Stainless Steel Sunglasses. $290. www.modaoperandi.com.